A sturdy duffel bag for your daily routine. 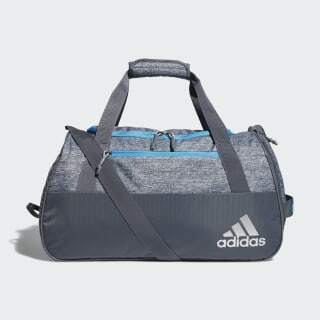 Get your workout wear to the gym in this durable duffel bag. Multiple pockets stow your water bottle and small essentials. A separate compartment isolates your shoes. The adjustable strap and padded handles offer easy transport. Dimensions: 11" x 12" x 21"